At least 120 births have been recorded in eight camps of the Internally Displaced Peoples' (IDPs) in Benue State. Executive Secretary of the State Emergency Management Agency (SEMA), Emmanuel Shior, who made the disclosure yesterday, said that the figures were obtained from the IDPs camps opened this year after gunmen sacked villagers in parts of the state. 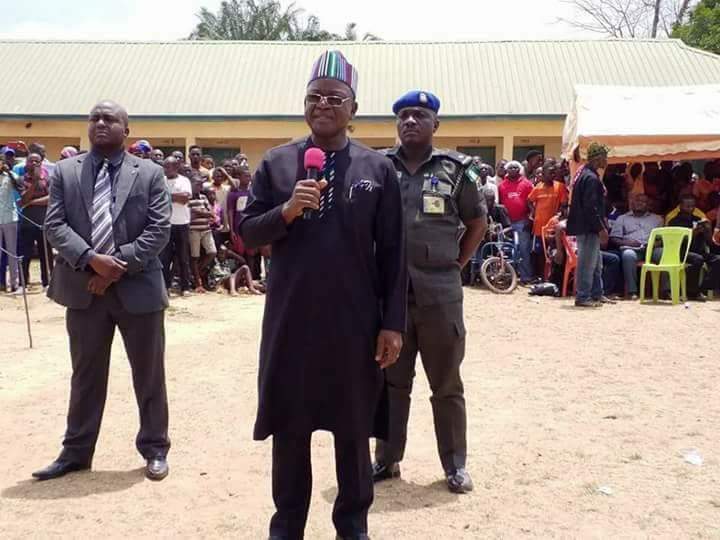 Also, speaking to newsmen at Umenger village in Guma Local Government Area during a tour of the IDPs camps, yesterday, Governor Samuel Ortom, said over 50 communities in the state so far had been sacked by the attackers. Ortom said though the presence of the military men are being felt in the area, they are however not enough to tackle the invasion for the people to return back to their homes as the attackers still lurk around for their prey. "The people are willing to return to their homes only when the places are secured. That is why we are appealing to the Federal Government to upgrade the exercise "Cat Race" to an operation," he said. The governor explained that he was going around the camps praying and ministering to the displaced in order to raise their hopes and to assure them that government had not forgotten them but doing everything possible to enable them go back home. Of the four camps visited yesterday, it was gathered that a total of 15 people had died of various causes to included illnesses and old age. A Red Cross official said nine persons died at the Abagena camp while a Nursing officer in charge of the Daudu LGEA Primary School IDPs camp, Priscilla Tser, confirmed one death and the UNCHR shelter home in Daudu recorded one death with another Red Cross official confirming four deaths at LGEA Primary school in Gbagjimga town. Our correspondent observed that in the over one and half hour drive on the dusty bumpy road, all the rural communities between Daudu and Gbajimgba, the headquarters of Guma LGA, remained deserted.